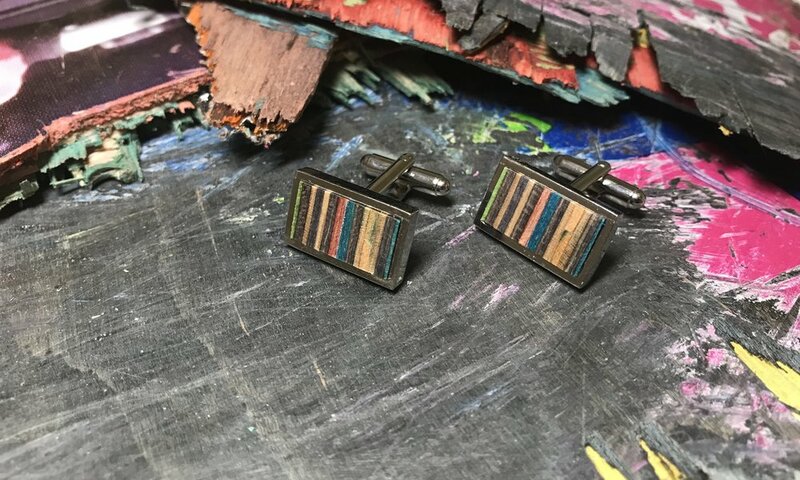 Award winning products made from broken and recycled skateboards. Thrashion Ltd is a 100% skater owned and run DIY business. We’ve been supporting the UK skateboarding industry since 2010 and in production since 2007. Being skaters we know that skateboards are not just toys, and we take care to produce high end products that befit the life of a broken board. 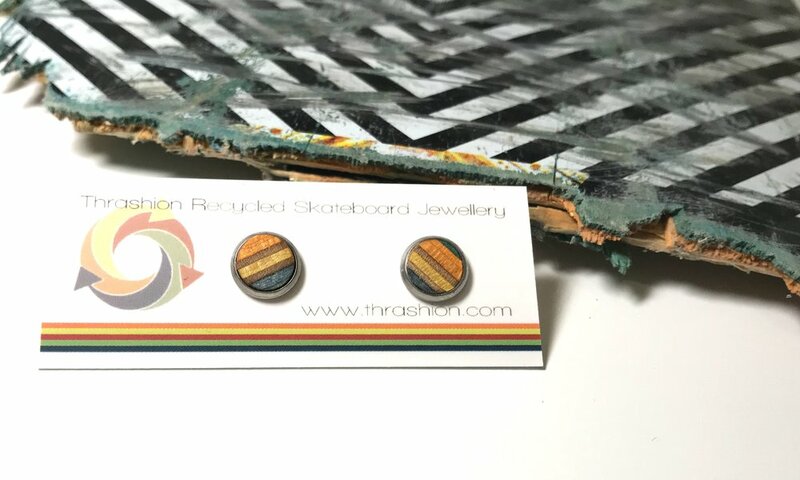 The items I make are created from broken skateboard decks, which are used in their original state, incorporating each scratch, sticker and ding to represent the character of the rider. The decks and wheels are used in their original state and apart from being cut, sanded and finished, materials and waste are kept to a minimum. Being an eco friendly brand we take care to keep our carbon footprint as low as we can and ethically source all our materials from within the UK. Thrashion is a proud member of the Made in Cornwall Scheme, a Cornwall Council run scheme that recognises local businesses for their outstanding quality and relevance to Cornwall. 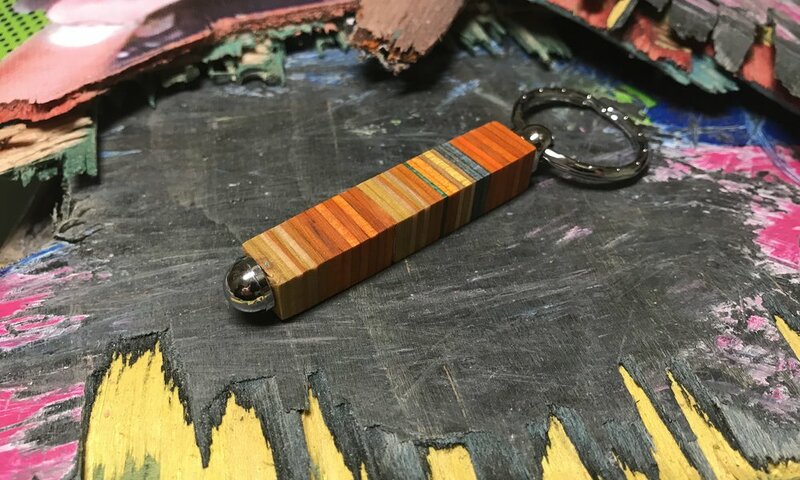 1 x 1 cm, chain 16"
1 x 1 cm, chain 7"